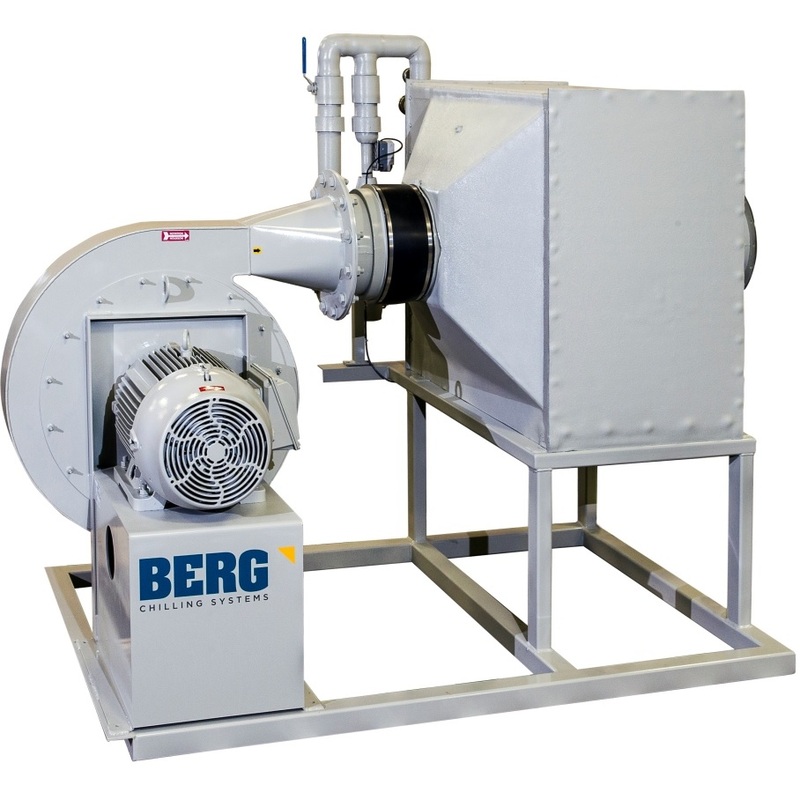 Berg BFCs are available in standard models to meet the requirements of most blown film applications, and can be customized as required. Berg BFCs are factory built and tested. Each BFC is assembled, insulated, piped, and wired on a painted structural steel frame. 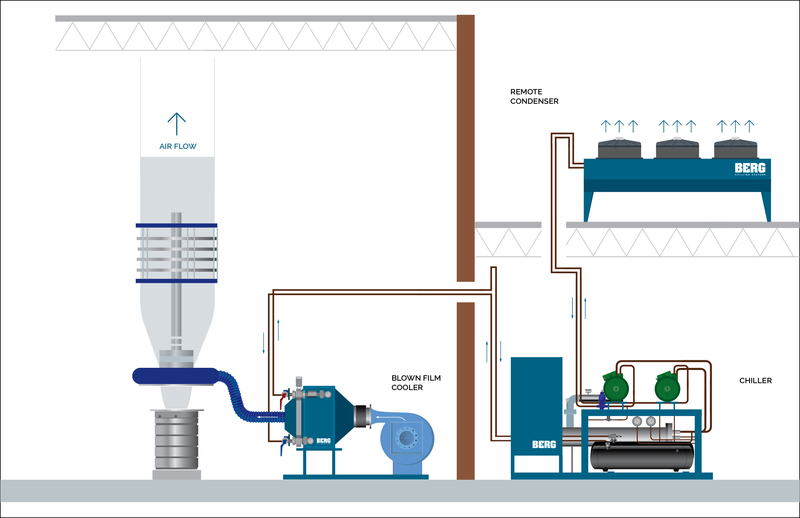 Pressure blowers can be inverter duty or have variable frequency drives allowing complete pressure and airflow control. Blowers are selected based on industry standards or specific process airflow and pressure requirements. The resulting system is a single, integrated package, ready for air line connections. 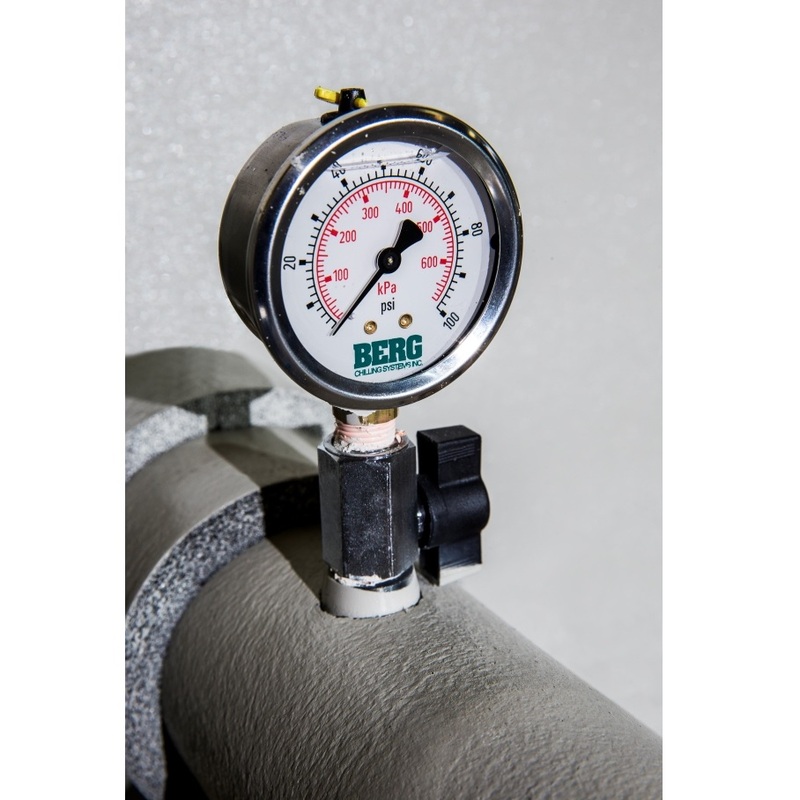 In applications where air temperature is crucial to sustaining a stable bubble and a high-quality product, Berg BFCs can be equipped with precision control valves that will closely regulate the cooling water/glycol temperature. No one knows your systems like your own systems people. 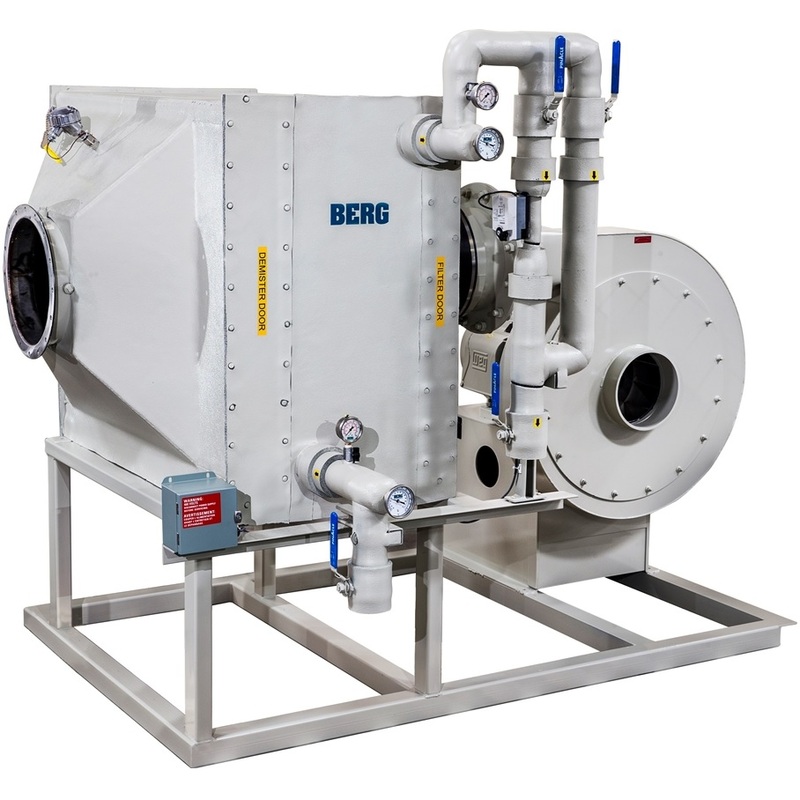 That’s why we involve them in the design of your Berg Blown Film Cooling system, ensuring your custom engineered system precisely meets all your requirements and unique challenges. 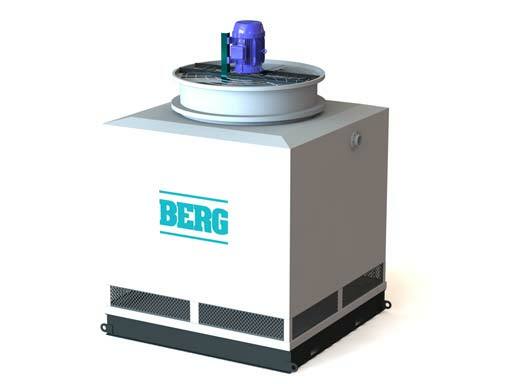 Berg BFCs can completely manage air quality. The standard package includes inlet air filters. 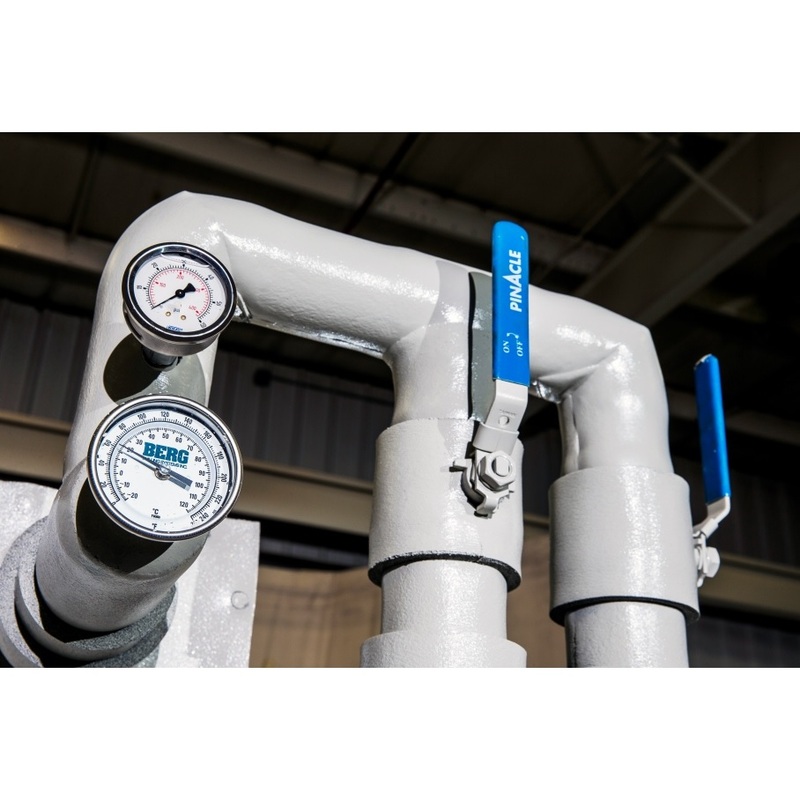 Custom features can include mist elimination, condensate collection traps, blower inlet filters, and silencers. Ultra-pure HEPA filtration is also available. Manufacturing of plastic film for products such as shopping bags, food packaging, garbage bags, and medical grade packaging is performed by a blown film extrusion process. It is the same as a regular extrusion process until the plastic meets the die, which is an upright cylinder with a circular opening similar to a pipe die. Blown film can be a few centimetres to more than three metres across and can range from a single layer to up to ten layers of material. The different layers are used for different properties such as a barrier layers, layers for reclaim plastic or fill, or UV stability. The films are produced using one or more plastic extruders. 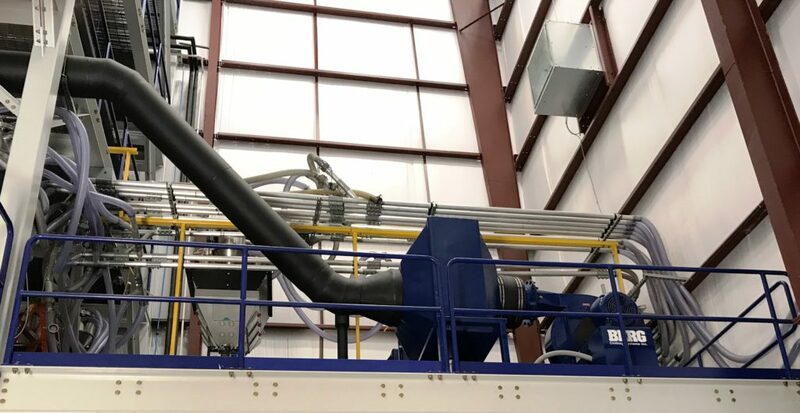 Plastic pellets are fed to the hopper of the extruder, which use a rotary screw in a long steel cylinder (the barrel) to transform the solid pellets to a molten form under high pressure. Molten plastic is pulled upwards from the die by nip rolls above the die (from 4 metres to 20 metres or more depending on the required level of cooling). The barrel has multiple zones where the temperature is controlled. The molten plastic is forced under high pressure through a die in the shape of a horizontal ring. With conventional air ring systems, the plastic from the ring is drawn upward and expands outward to produce a film bubble that can range from less than 0.001” to 0.1” thick. As the plastic bubble is pulled vertically, forced air surrounds it. A high-pressure blower supplies the air ring. The plastic changes from the molten state to a solid material. The point of state change is called the frost line. The film production rate is determined in part by the quantity of cooling the air supplies the film. If outside or ambient air is used for cooling the bubble, the rate of production will change throughout the year as the seasons change. 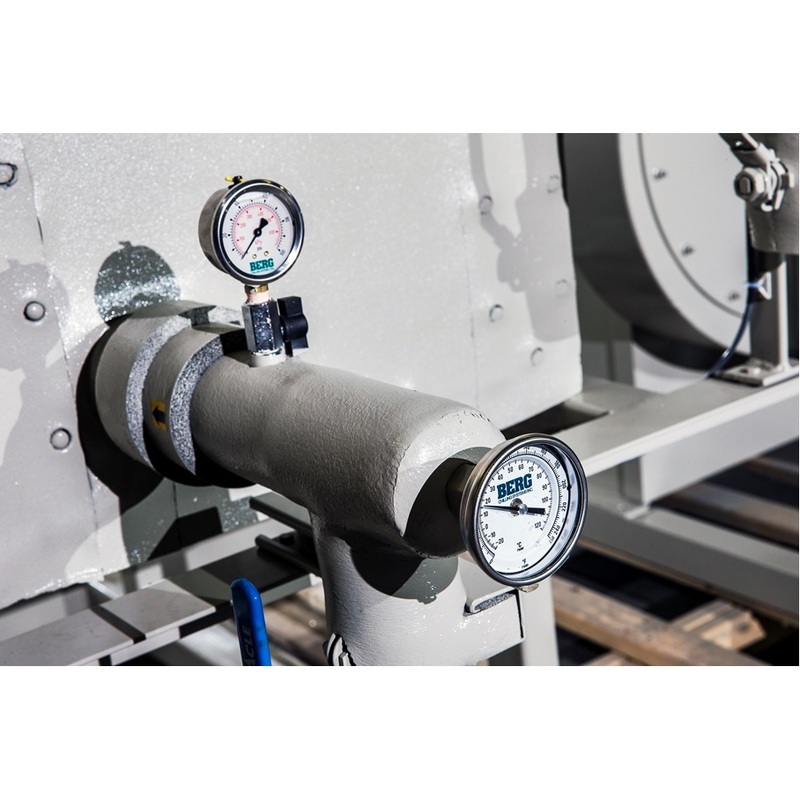 This variation in temperature forces the operator to increase or decrease the extruder throughput to ensure proper cooling time on the bubble. 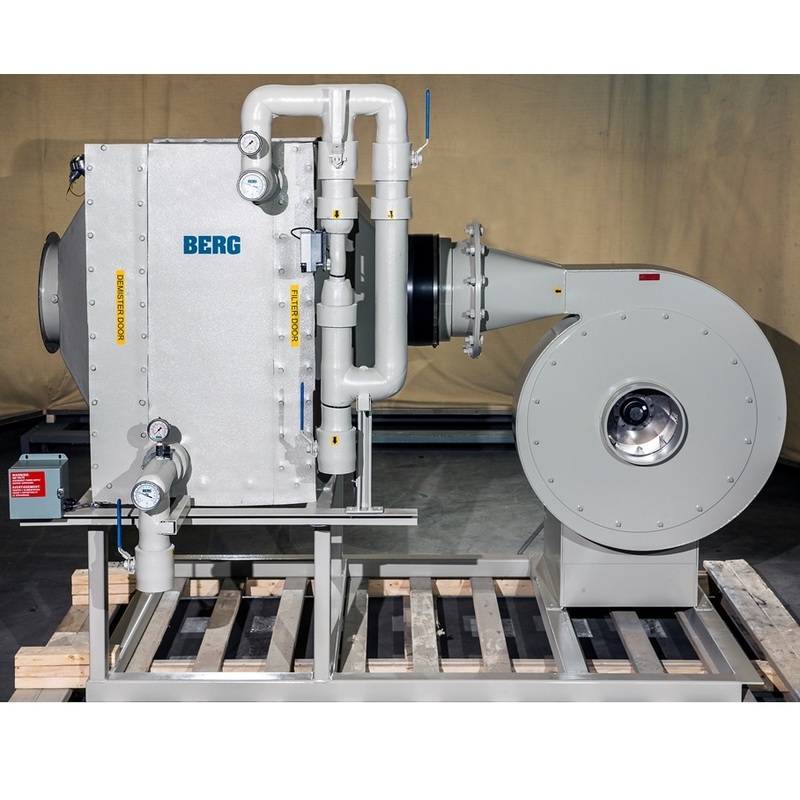 Custom engineered Berg Blown Film Coolers provide consistent all-season performance by precisely controlling the temperature, pressure, and quality of air supplied to the film bubble.